So I’m going to Chicago-land next week for a vacation. I’ll see a lot of friends and I thought I’d see some sites I never saw when I lived there and revisit some too. I also researched a bunch of apartments I could afford in areas close to friends. Which brings up the idea of moving back to an area where I have friends and like the place and weather better. My therapist reminded me that when I have repeated thoughts – or any thoughts really – I can decide whether to think about them and give them attention, or not. I’m still wondering if I should move, especially back to Chicago. Hence, I have been looking at apartments in my old area. And maybe I should find a roommate so I wouldn’t be living alone. Either way I am taking care of my health and have a good care team, except for a hospital if I stay in Texas. With a roommate in Chicago I would still have some money for travel. With moving I would be living out my value of independence, though I would be starting fresh again which is hard on my mental health (changes are hard!). What do you think is best with these pros and cons?? In other news, my doctor is confident the Abilify injection I started this month will have a HUGE impact on my mood swings – fewer and less intense. That has been his experience with many, many patients. He said that if I didn’t experience success with this treatment, I’d be the first. Yay! There is some hope? Mania or Depression or Ennui? I’ve been thinking of going off my meds. Several people have discouraged me from doing it, citing deleterious side effects, including seizures and the inevitable crash. Several have insisted I do so only under a doctor’s supervision. One person reminded me of a med wash I did in the hospital a few years ago, when a doctor took me off all my meds in order to start me on new ones. That was miserable. Somehow I still feel like I need to go off my meds. It IS something of a gut feeling with no rational logic to it (though my therapist says it is logical – see below). I know that there will be side effects initially. Yet I persist in this belief that it would be a good idea. I’m feeling agitated and frustrated and desperate for a change. I suppose I’m hoping that going off my meds will lead to a manic episode which would be different and life would be exciting again. I miss my old life. A lot. I finally contacted my therapist, and he immediately called me back after a text. He said it DID sound logical, that in my quest to feel better – to feel like I used to – when I wasn’t on meds – I would rationally think Not being on meds made sense. So maybe I’m not crazy in my ideas? He encouraged me to call my psychiatrist. I explained that he didn’t know me yet after just one visit. He said it would still be a good idea. So I called my psychiatrist finally. He thought I might be experiencing depression. I have been what I call “slightly depressed” – still functional, not in despair or suicidal, but still feeling lethargic, sad, unhappy with life. So maybe I am more depressed even with this agitation. I was thinking that maybe I was starting to experience some mania or dysphoric mania with the agitation. Or maybe ennui with my dissatisfaction with life and a need for more excitement (hence, inducing a manic episode). But maybe I’m just more depressed. Does it even matter what mood state I’m in? Oh, and he insisted I stay on my meds. Right. As expected. Same as everyone. My therapist helpfully returned me to my values and asked what action would be in line with them. This is a major tenet of ACT, Acceptance and Commitment Therapy, something that works for me. In my previous post I outlined a few of them, including Health and Independence. For the life of me, I can’t decide which action is more healthy: going off my meds to bring back the more meaningful life I had, or staying on my meds to treat bipolar and keep the life I have, as someone in treatment for life. And which would give me more independence? Not being on meds? I know you all are going to tell me to stay on my meds or only to go off them with my doctor’s supervision. That’s what I tell everyone too. Stay in treatment! Maybe my meds aren’t working anymore and I need new ones. Maybe I’m in a mood state and I need to remind myself that it is not permanent, none of them have been, and I’ll cycle out of it eventually. I’m choking down the meds right now. I don’t have to. The choice is mine. I don’t know what is in line with my values or even which I fear more, the side effects or staying the way I am. I’m struggling against my current living conditions. I’m living with family, supposedly to get more support for my mental illnesses. Instead, my cat is constantly yelled at for something natural to him or locked in a room of his own. I’m living on someone else’s schedule of rising, meals, housework, shopping, medical appointments. My family has a very different worldview, even to not watching the news and having the privilege of staying ignorant of the world. And it is impossible to live with a passive-aggressive parent who was emotionally abusive when I was growing up and now still is, though I ignore it. I want to move away, possibly back to Chicago where I have a strong support system. Possibly I could move somewhere nearby. Possibly I could take this opportunity to move back to California where my soul abides. And I could see the ocean and forests regularly, something that feeds me. I’m upset, and so I texted my therapist who told me to breathe, to remember my values, to make a list of pros and cons, and to blog. Thus, I am blogging my values and pros and cons. It helps me to write everything out, in case you couldn’t figure that out from the fact that I have a blog – about myself. Values: Health, Expressing my compassion, Spirituality of some sort, Purposeful/Meaningful living, Active involvement in world working for justice and peace. I have a hard time coming up with them without the value cards in front of me, but you can really only focus on a few at a time. So having just a few is ok.
One parent wants to have a Big Family Discussion, with Compromise. Right. Some people are going to get everything they want. As usual. It might be better to move. In this time of mood stability – a month now! – I’ve been trying to observe what being in between mood states is like. I haven’t been doing a very good job of observing. I keep anticipating the next mood shift to depression or to mania (August is the time of year for a manic episode), instead of focusing on what is happening now, what this mood state in the middle is like. I’m not at a pole; I’m not even trending toward a pole. I’m feeling a range of feelings. In fact I felt depression for a couple days earlier this week, and it passed quickly. I feel anxious now with all the social anxiety of trying to meet new people. The anxiety brought on racing thoughts, which are not a symptom of mania for me, but of anxiety, something I live with every day. My wise therapist – I have a knack for picking them that way; I’m lucky! – asked me why I haven’t blogged about acceptance of this stable mood state, what it is like, what I’m feeling. He also asked how much uncomfortability I could tolerate to accept it and examine it so that we would know what it was like when I switch, eventually, to another mood state. He also asked me how much I trust myself. The last time I fully trusted myself was in college, lo! these 25 years ago. 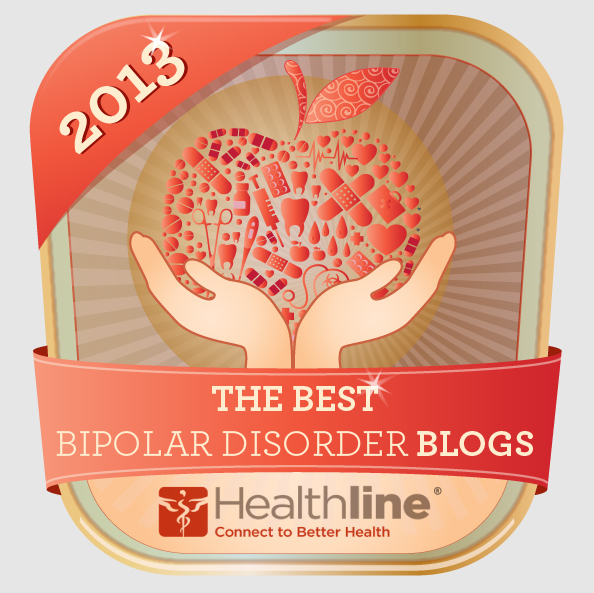 I was in the throes of bipolar coming on with mania, hypomania, psychosis and a little depression. No one saw it and thought I should get treatment. I wasn’t in an environment that saw mental illness or sometimes even disbelieved in it entirely. It was a spiritual problem, if recognized as a problem, and all that meant was that a person needed to get right with God, confess sins, and do the right thing. Not a helpful response to a serious mental illness. But I digress. I was in the throes of bipolar onset in those tender years of 17-20 when I was in college. I ran headlong into jobs, changes in majors, a new life direction, a new worldview, relationships and friendships, and political and religious shifts toward the progressive. I was behaving all the ways young, naïve, energy-driven, immortal people behave. I just had a mental illness on top of it. But I trusted myself. I didn’t second guess what I wanted. I mooned over guys. I debated with friends, knowing my position well. I yearned for the future I was working toward. I made decisions with little thought of consequences. I trusted myself to make good decisions. I didn’t second-guess myself. That all changed after I got engaged, married, went to seminary, had an internship and then worked as a youth director. I was a pastor that second-guessed all my decisions, from the smallest to the biggest. I felt an imposter in my whole adult life. I didn’t trust myself during my protracted illness for the last 8 years. I learned – and practiced! – coping skills. I built-in a rhythm and routines into my life. I always took my medication, even when I was severely depressed and suicidal, or when I was manic (and didn’t know it, cuz that’s how mania works…). I went to the hospital when I was suicidal. 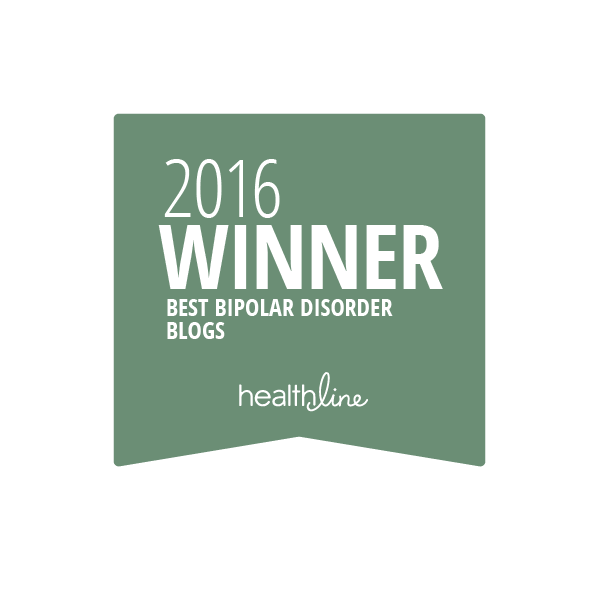 I expected a lot in return for the efforts I made to change my life for bipolar. I expected to find stability, somewhere in the middle where I felt good and could take on the driving forces to DO something again. Because I was trying so hard, I was disappointed every day that nothing changed. I was at one pole or another, never in the middle experiencing a range of emotions and life experiences. Now my mood is in the middle, because of medications, or because of the routines and rhythms, or because I expect less of myself (e.g., work, volunteer jobs, socialization). A combination of all three probably, though being on the right cocktail is probably the most effective since I’ve been doing the others For Years! I’m at a place where I should trust myself because I have done all the right things to take care of myself. I can trust myself to continue doing the right things. But it’s a 25-year-old problem of not trusting myself to make the right decisions. The second guessing I’m doing is that I will slip back into a mood pole for no reason, and there won’t be anything I can do to bring it back. This middle place is so unfamiliar. How do I enjoy it without questioning it every morning when I wake up? How do I find it again if (when???) I slip back into a mood pole? Join me the next week as I try to unravel what this stability is like and how I can enjoy it, not pressing too hard to take advantage of it, but to lean into it and enjoy it.